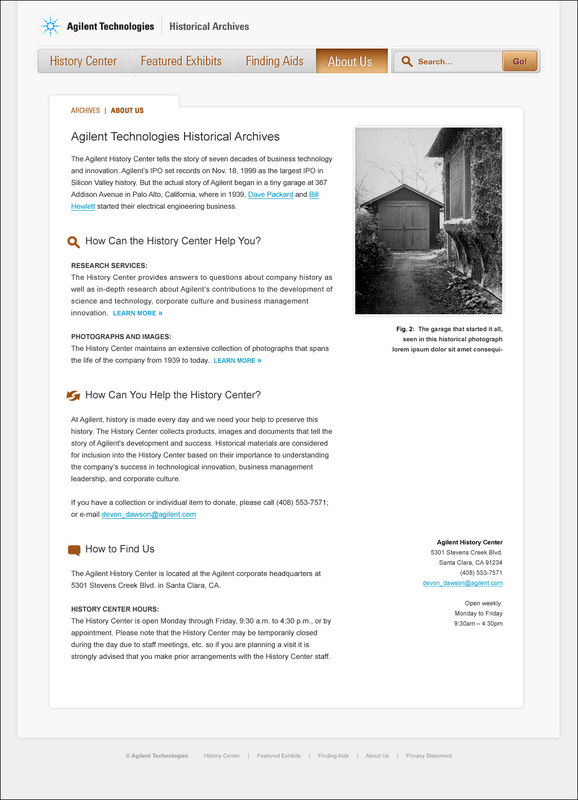 Agilent Technologies (once part of Hewlett-Packard) holds a great deal of Silicon Valley history in it’s archives. Stories that touch almost everyone in the computer industry around the world. We are fortunate to have been tasked with designing a home for all the history to live within. 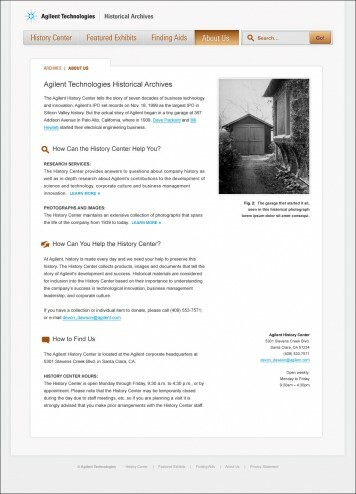 What you see here is the fruits of that labor, developed in collaboration with BobbyBlue Design: A robust, yet easy to navigate online repository of all the precious history they hold is temperature-controlled, secure storage locations. Now researchers, script-writers, and all forms of historians will be able to dig through decades of timelines for that precious gem.